Please note: our server is very fast but The Orbitron contains files that are quite large, and so may take some time to download if your internet connection is slow. -tron suffix. a device for manipulating atoms or subatomic particles, accelerator. Orbital /áwrbit'l/ noun. (Phys) Space in an atom occupied by an electron. A subdivision of the available space within an atom for an electron to orbit the nucleus. an atom has many orbitals, each of which has a fixed size and shape and can hold up to two electrons. 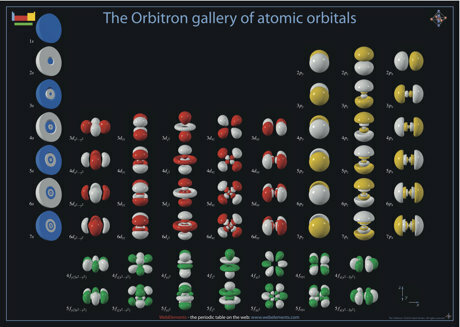 You can now buy the Orbitron atomic orbitals poster.